Q: What is the best way to catch your dog on camera? You are at:Home»AKC»Q: What is the best way to catch your dog on camera? While Goodnewsforpets rubs elbows and paws with stars at the 2017 Sundance Film Festival, we wanted to know what the best tip was for getting your dog to cooperate for the camera. According to the American Kennel Club (AKC) the number one tip for photographing or filming your dog is training. 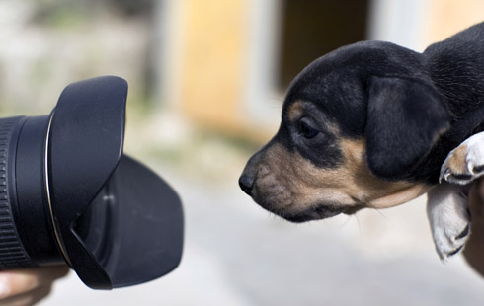 Your pooch’s training doesn’t have to extensive in order to get a good shot in the can. Even with a limited repertoire basic commands such as sit and stay can help keep any dog in frame and looking like a star. For more tips on photographing and filming you dog, see our extended post with all the AKC tips here. January also happens to be the Association of Professional Dog Trainers’ (APDT) “Train Your Dog Month“. During the month of January Goodnewsforpets is offering information and tips that will help any pet parent train their canine companion whether it’s for the camera or not. Stay tuned in January for more tips on training your pet and also our special coverage of this year’s Sundance Film Festival!